2005-11-16 : Royalty in the neighbourhood, apparently. 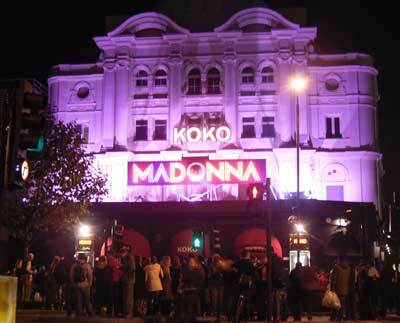 Bit of commotion down by the tube station tonight – tonight was Madonna's concert at Koko to commemorate her first ever performance, 75 years ago in that very venue. There were a fair few people gathered round, but it wasn't the fevered bustle of adoring fans so much as the laconic circulation of hopeful scalpers, and a whole bunch of stickybeaks (e.g. me). It certainly didn't appear to be the thousands of teeming fans that the Camden New Journal predicted cars were going to have to weave between and generally cause a nuisance. 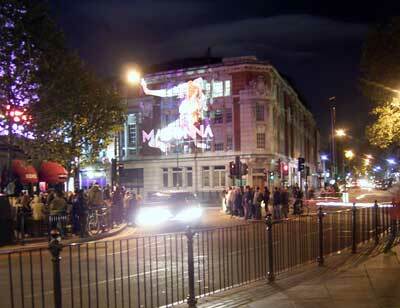 What got me really was the giant projections of That Woman cast on surrounding buildings. 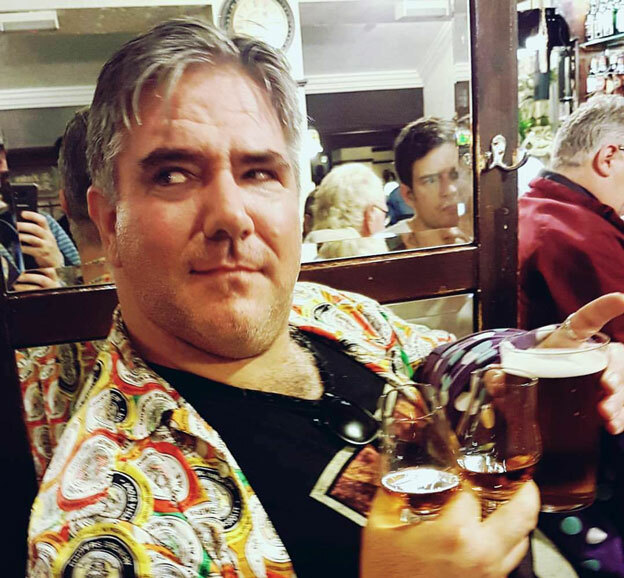 I mean seriously, what sort of inflated sense of self importance would you need to possess before shining your likeness in through the window of about 4 dozen people who probably couldn't give a flying toss ? 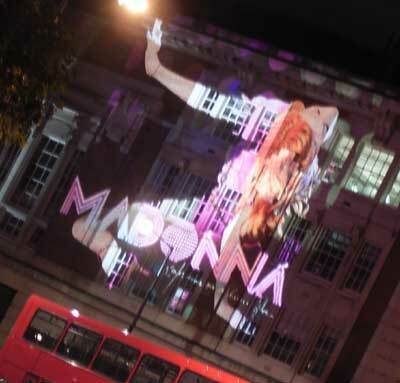 I wonder what the rules are regarding light patterns/words cast on the side of buildings or into the sky, anyway ? It's not like you'd need council permission to erect a structure of any sort. Previous Post2005-11-15 : There’s nothing like a good joke. Next Post2005-11-17 : You can call me Susan, if it makes you ‘appy.